Please note that I no longer own this layout. It has been sold on to a good friend of mine. Any exhibition enquiries can still be sent to me and I will pass them on to the new owner. Collett mogul 7340 running round at Pen-Y-Bont. 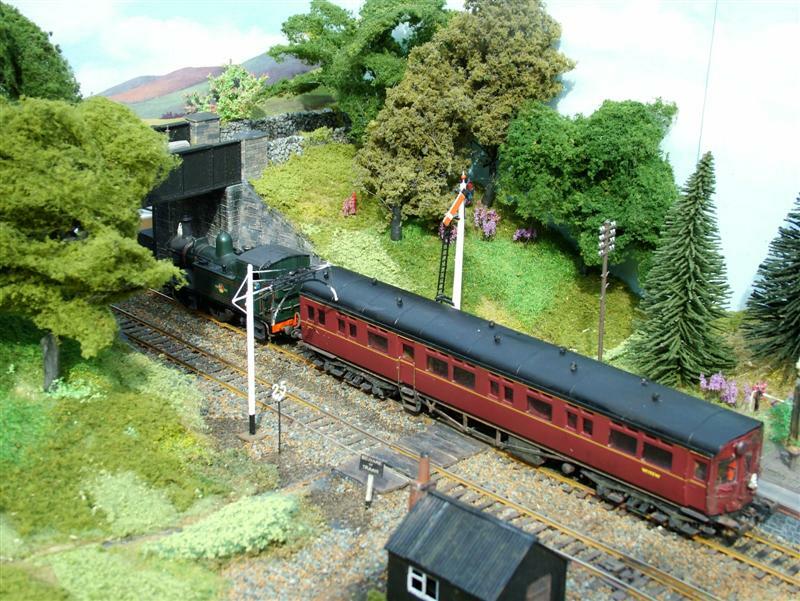 The Loco is a modified Bachmann RTR model. 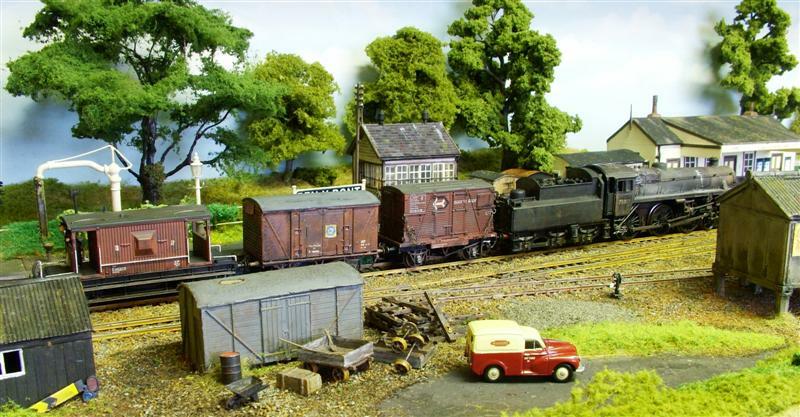 A well weather battered BR standard 4 arrives with a short fitted goods train. 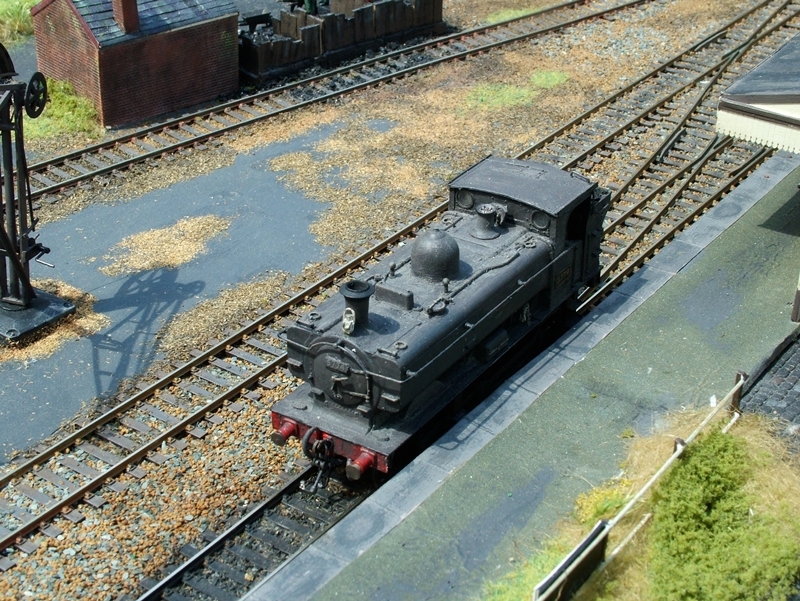 Another well weathered Bachmann RTR model. 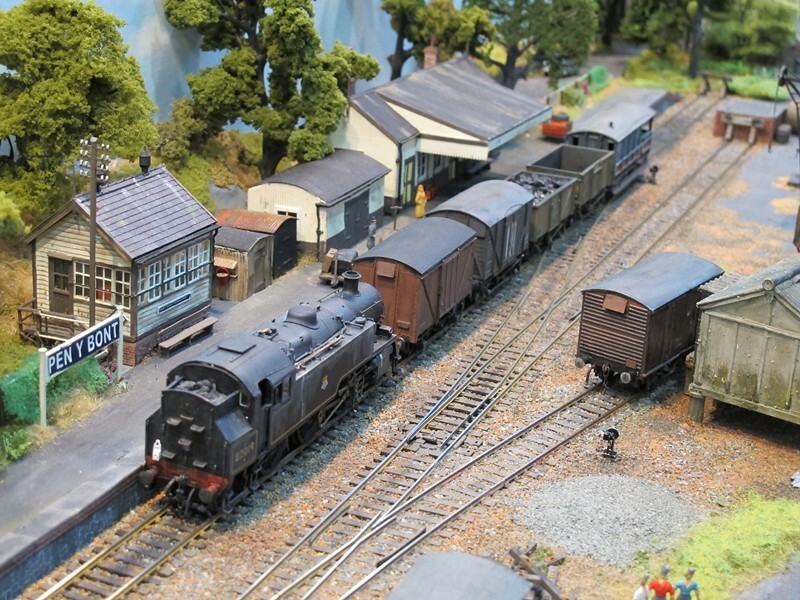 5763 again, shunting a Dapol kit built Lomac with tractor load. 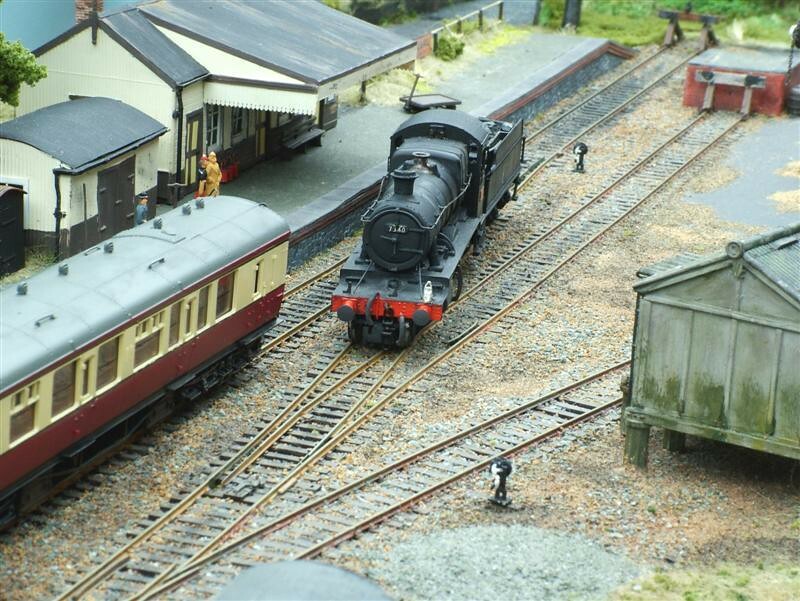 Over view of the goods yard and the approach from Station Rd. 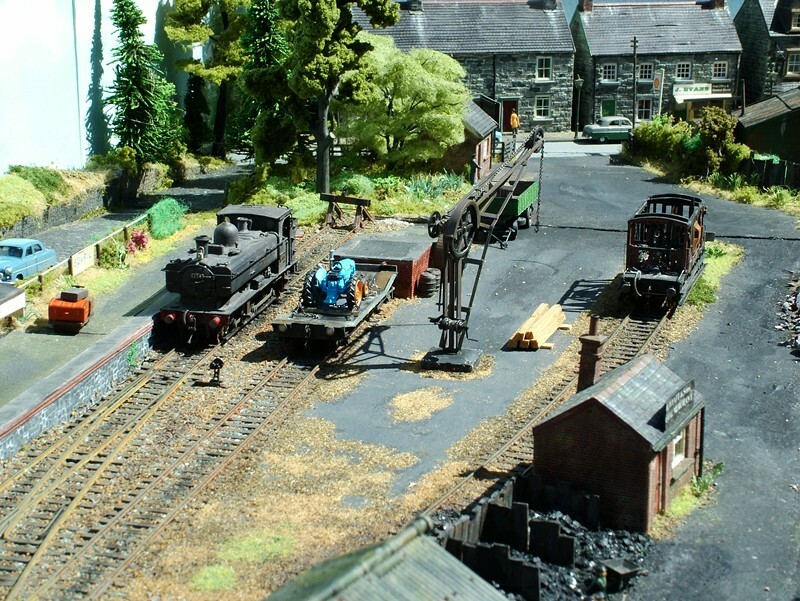 The crane, coal office, and all the cottages are scratch built. Track is Peco code 75 with large radius turnouts. 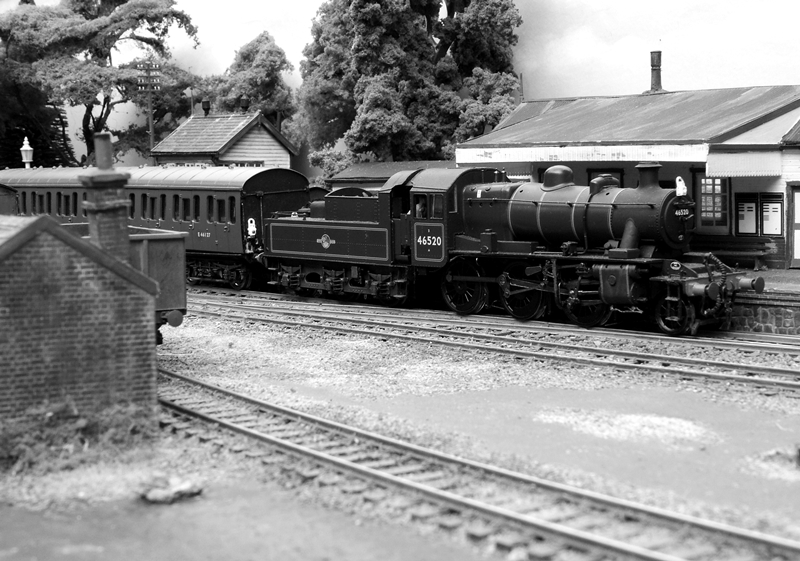 BR Standard 2-6-2 T About to leave with a mixed freight train. 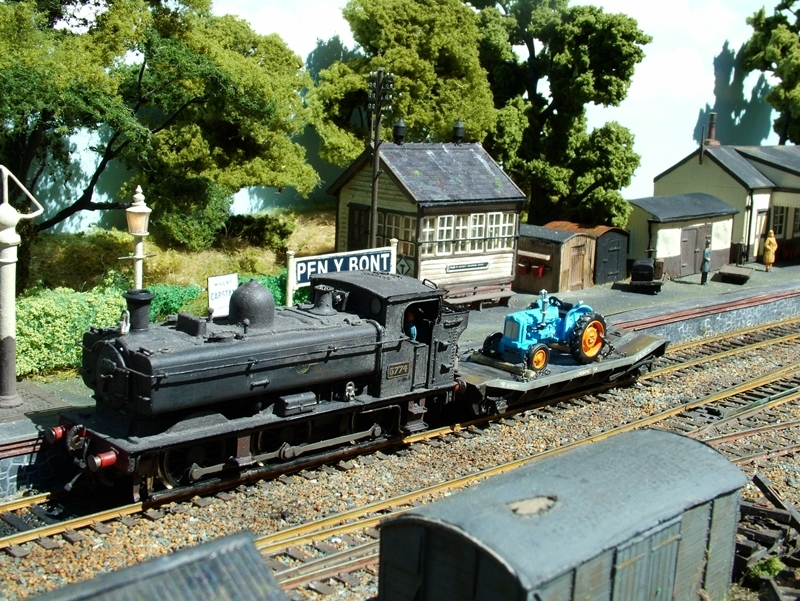 1432 and auto trailer depart Pen Y Bont for Oswestry. Baby Ivatt 2-6-0 46520 arrives at Pen Y Bont with a passenger / parcels train from Chester.